The Onco’Zine Brief, a 100% independent radio broadcast/podcast concept developed for Public Radio by Sunvalley Communication, is seeking your help in funding the development of our unique, informative, broadcasts/podcast and educational programming. 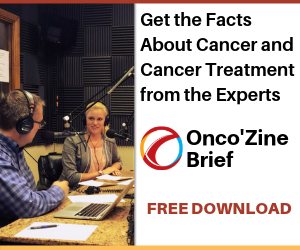 The Onco’Zine Brief is an educational program developed for public radio and designed for anyone who wishes to listen to comprehensive, updated and cutting-edge news and information about cancer, from early diagnosis to treatment. Each program is brought by an experienced and passionate team of medical journalists. They bundle valuable health related information, offering a continues flow of scientific and health related information – our aim is not only informs but also – where appropriate – to entertain. The Onco’Zine Brief is generally studio based. However, a number of broadcast programs and podcast will be brought from international medical society meetings in the United States and Europe, including the annual meeting of the American Association for Cancer Research (AACR), American Society of Clinical Research (ASCO), American Society of Hematology (ASH). 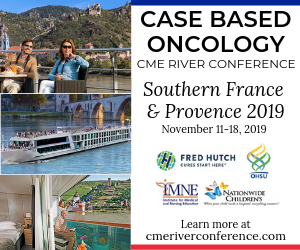 Each program includes interviews and stories ranging from personal stories from cancer survivors to cancer research, diagnostics, treatment & prevention and the business of cancer care. The Onco’Zine Brief is available via PRX | Public Radio Exchange, iHeart Radio and, as a podcast, via iTunes, Spreaker, Stitcher, and Google. In Arizona the program can be heard every Saturday at 1 p.m. (Arizona Mountain Time) on Independent Talk 1100 KFNX, one of the top Ten Radio Stations in Arizona reaching almost 5 million people throughout Arizona. And in the United Kingdom the program is broadcast via UK Healthradio. In addition to the regular programming, our presentation team produces many hours additional programming to be distributed as part of The Onco’Zine Dossier via iTunes. Listen to the latest episodes of The Onco’Zine Brief on PRX or The Onco’Zine Brief on iHeart Radio. Who’s listening to The Onco’Zine Brief? We average over 400,000 unique listeners per month. Over 90% of our listeners are aged between 25 and 64, in almost equal parts. We average a 70-30% split between female and male. For more information about upcoming programs. For more information about sponsorship and underwriting, contact Shaun Mehr.